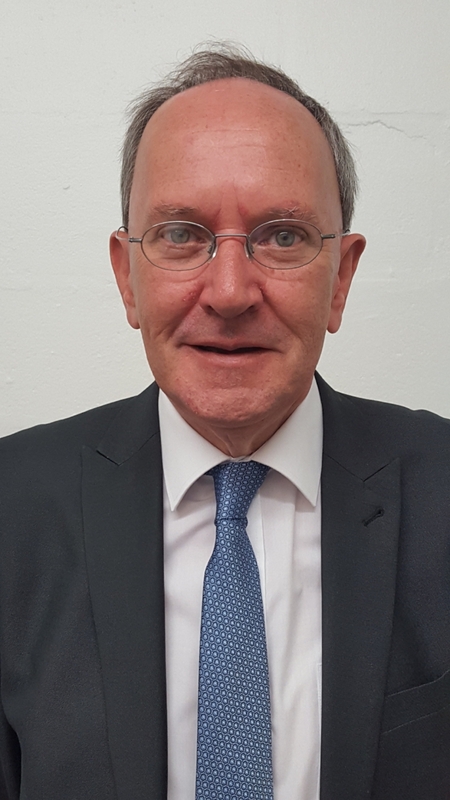 Ian Smart, our senior partner, graduated in law from The University of Glasgow in 1978 and has worked as a solicitor in Cumbernauld since 1988. From 1991 until the formation of the Cumbernauld Law Practice he was the prinicipal solicitor at his own firm, Ian S Smart & Co. Ian's main areas of practice are in the field of general litigation including criminal defence work and personal injury practice. From 2009-2010 Ian was President of the Law Society of Scotland. In common with all our solicitors Ian is also a Notary Public. Sharon Gardner qualified in 2000 from Strathclyde University. She commenced her career with one of the largest legal aid firms in Glasgow specialising in criminal and family law. In 2011 Sharon moved to Barrowman & Partners Solicitors as a partner. Sharon specialises in family law and has particular interest in cases involving children and family mediation. Sharon also acts as overall managing partner of the firm. She holds the additional qualification of being a Comprehensive Accredited Law Mediator. Lisa graduated from the University of Dundee in 2003 and joined Ian S Smart & Company initially as a paralegal later that year. In the years between while bringing up a family she completed the Diploma in Legal Practice and fully qualified as a solicitor. She was made an associate with Ian S Smart & Company in 2014 and became one of the founding partners of the Cumbernauld Law Practice. Lisa's main areas of practice are in the field of domestic conveyance and executry work and she is in overall charge of the firm's conveyancing department. Gerald also graduated from The University of Glasgow in 1978 and following an early career with Cumbernauld Development Corporation became a partner in Barrowman & Partners in 1986. From 1999 until May 2017 he was the senior partner of that firm. Following the merger of Barrowman & Partners and Ian S Smart & Company he is remaining in the new firm in the role of consultant. Gerald's practice is mainly with the firm's commercial clients and in providing advice on succession planning. Jennifer is our principal point of contact for domestic conveyancing. Having started her working life as a junior with Ian S Smart & Co (!) she obtained the Certificate of Professional Development in Conveyancing Practice from The University of Strathclyde in 2000 and has worked as a conveyancing paralegal since then. She joined Barrowman & Partners in 2006. Carol works alongside Jennifer as a paralegal in the firm’s conveyancing department. Having spent her entire working career in the law, she joined Barrowman & Partners in that capacity in 2014. Carol also deals with the firm’s extensive domestic conveyancing portfolio. Lee is the firm’s cashier having previously held that position with Ian S Smart & Co for whom she has worked since 2013. She does not have a client facing role but is the main point of contact for all of the firm’s finances including all receipts and payments. She is also the person primarily responsible for ensuring that the firm complies with the regulatory requirements of The Law Society of Scotland’s Account Rules. Suzanne is personal assistant to Mr Dunkley but also undertakes much of the firm’s executry work. She has worked with Barrowman & Partners all of her working life gaining, on the way, a wide and informed knowledge of most areas of the law. Sharon is personal assistant to Mr Smart. She also has worked in the legal profession throughout her career and joined Ian S Smart & Co in April 2015. Sharon is responsible for the maintenance of the firm’s court diary and for much of the routine communication with clients and other agencies. Yvonne is personal assistant to Ms Gardner and is also a widely experienced legal secretary having worked with Barrowman & Partners since 2005. As with our other support staff she is likely to be someone with whom Ms Gardner's clients have regular contact, particularly if Ms Gardner herself is in court. Lisa is secretary to Miss O’Neil and the rest of the conveyancing department. Lisa has worked with Ian S Smart & Co since leaving school. She is responsible for all accounting and much other communication with and to clients in respect of Miss O’Neil’s transaction. Carmen is the firm’s receptionist and therefore almost inevitably the first face that clients encounter when coming through our door. She has worked with Barrowman & Partners in that capacity since 2011. Isabel is also a longstanding employee of Barrowman & Partners. She assists generally in an administrative and cash room role. Lisa is the firm’s assistant receptionist and works alongside Carmen. Lisa recently joined the firm in 2017.